A weed is a plant that is growing where we don’t want it to. Most of our weeds come from places with similar climates to ours such as Europe, South America, South Africa, North America, Asia and New Zealand. 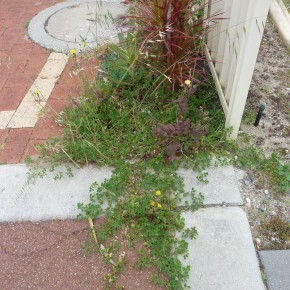 Weeds are spread via camping equipment, bags, shoes, clothing, cars, machines and animals. They can also be ornamental plants that have “escaped”. Amazing what an impact a plant can have on us.